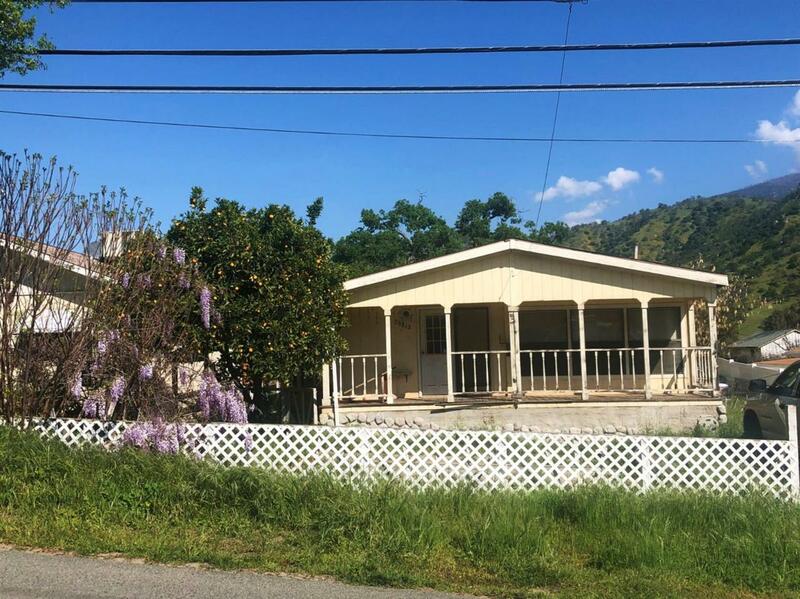 Fantastic investment opportunity nestled in the rolling hills of Springville, CA. Tons of potential in this manufactured/mobile home offering plenty of living space to include 2-3 bedrooms, 2 bathrooms an indoor utility room and spacious living room featuring large windows that allow for plenty of natural light. Kitchen includes plenty of storage and counter space with a breakfast bar opening into the dining area. Master bedroom boasts a large walk-in closet and master bath with walk-in shower and double vanity while the third possible bedroom could easily function as an office space. The detached garage also functions as a shop or additional storage. The covered front porch is perfect for sitting and relaxing as you take in the beautiful views and quaint neighborhood. This property needs TLC and is ready to be called home once again. All cash offers only please and to be sold in 'AS-IS' condition. Don't miss your chance! Call to schedule your showing today. Listing provided courtesy of Janice Wiley of Realty World Advantage.